Gold Flash plating solution allows you to plate a 24 carat gold thin coating of gold. It’s an economical alternative to full gold plating and is most useful as an intermediate layer for plating stainless steel, nickel and nickel containing alloys with silver or plating thin, decorative deposits on items such as costume jewellery. Gold content: 2 grams per litre. Brush plating a stainless steel watch case with a key layer of Gold Flash before palladium brush plating. 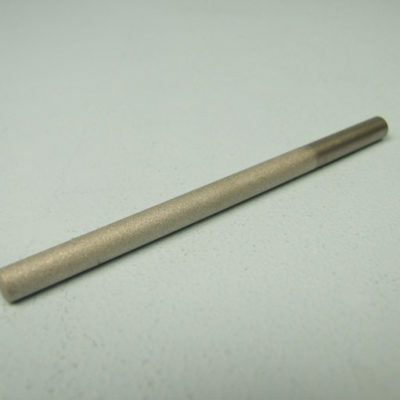 To see the project in full, please see our Electroplating Manual by clicking HERE. To work out how much plating solution you will need to plate your item and how much it will cost please click HERE. 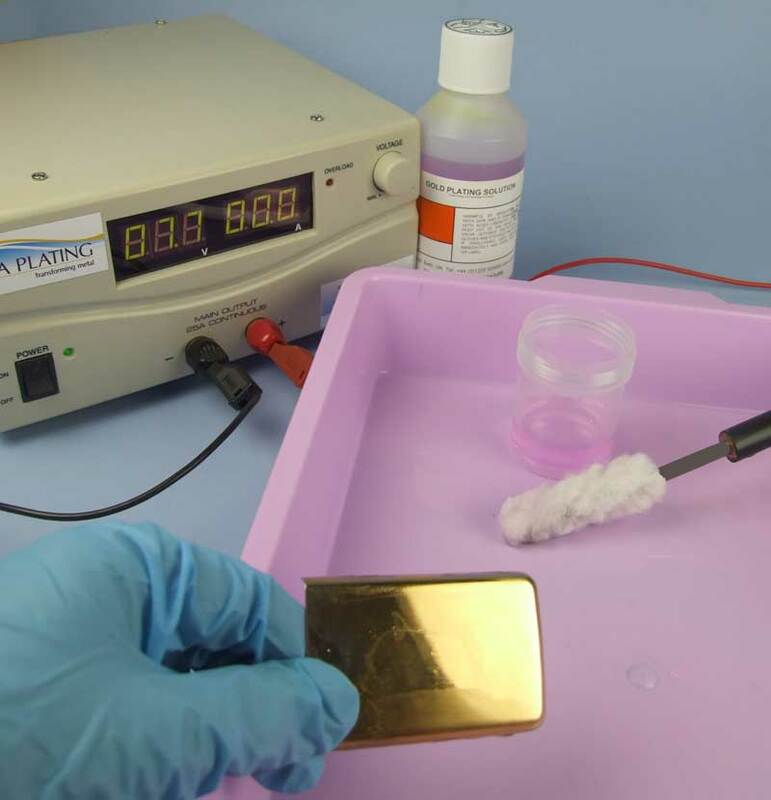 We recommend our MPU Fine for cleaning/polishing and re-activating your gold flash plated layer during the plating process. 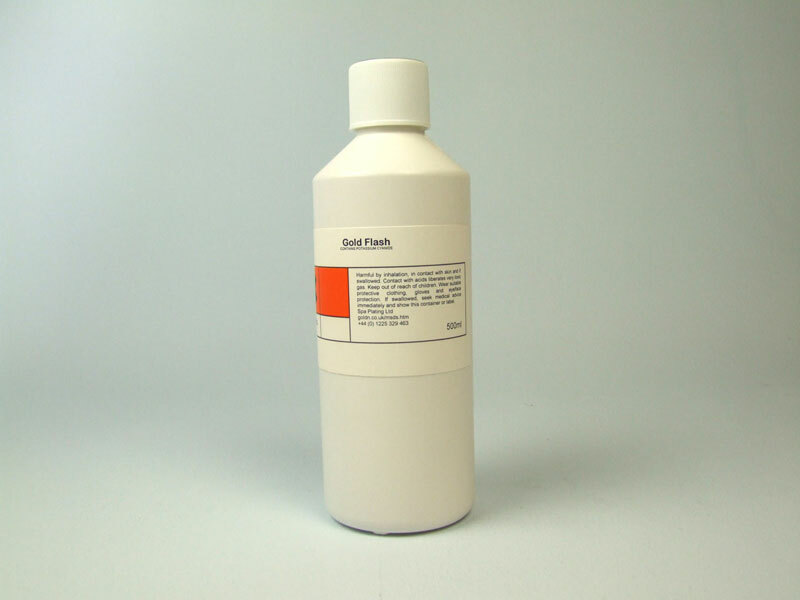 Allows electroplating of a thin layer of strongly adherent gold. Before applying another layer of plating, for example when silver or palladium plating on stainless steel, nickel and its alloys. 24 carat thin coats of gold: electronics, optics – reflectors – and where the item is going to be protected with a clear lacquer layer. 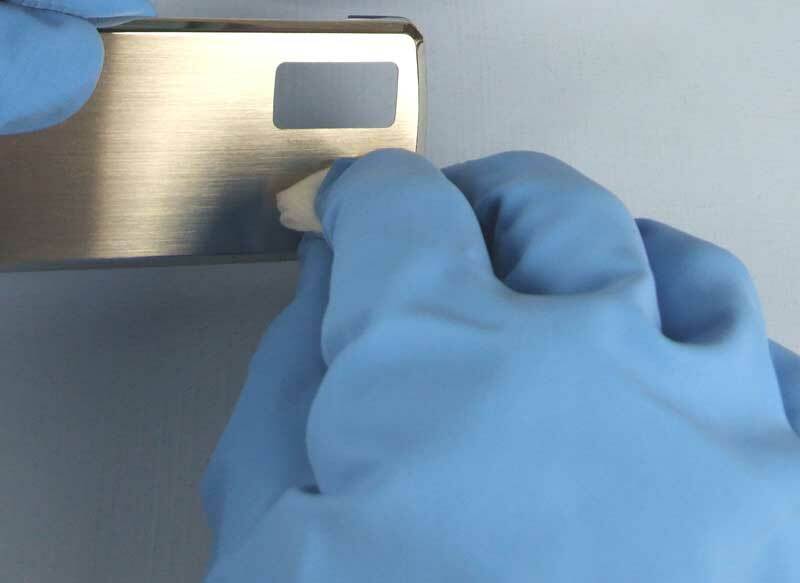 This project takes you through the steps involved in gold brush plating on stainless steel, using a mobile phone cover for demonstration purposes. It also introduces our online Plating Calculator which will help you achieve specific thicknesses of gold plate so that you can control the quality of your work and also estimate before you start, how much the work will cost to plate. Please be aware that most mobile phones are now made of aluminium and are therefore very difficult to brush plate. We do not recommend you buy any of our equipment or plating solutions if you want to gold plate aluminium iPhones. 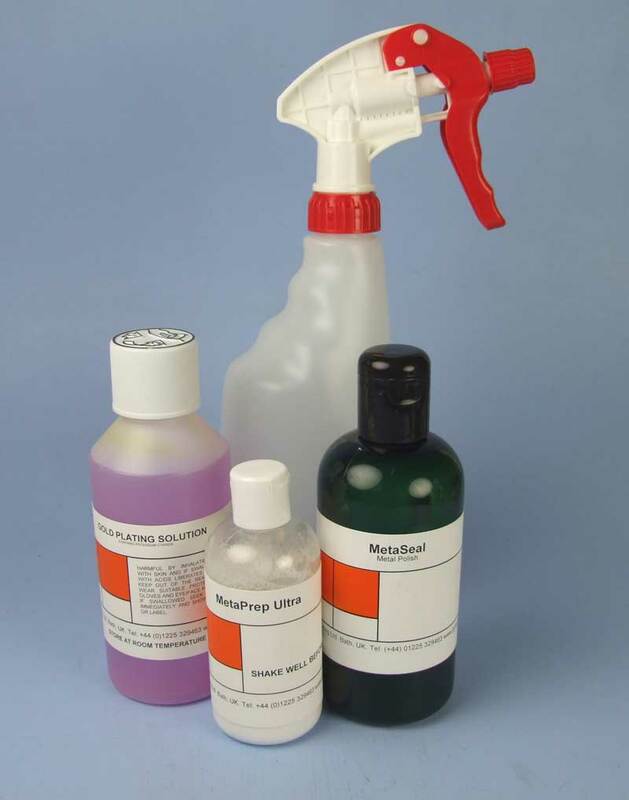 MetaSeal and MPU, Gold Plating Solution, spray bottle with deionised water. 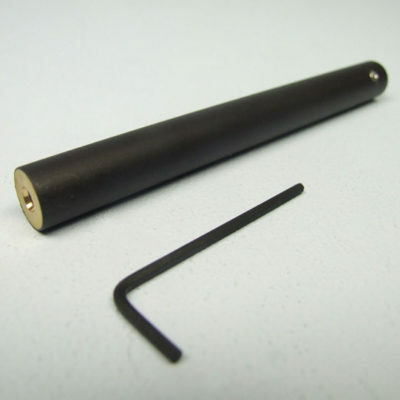 Electrode handle fitted with carbon electrode. Clean and activate the surface of the mobile phone cover with MPU to get it ready for plating. Take care to move along the grain of the scratch, as this will make the MPU easier to clean off. 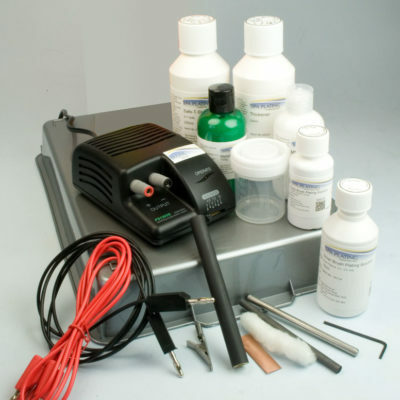 The level of voltage will depend on the part of the object you are plating. If your work has sharp corners, plate these at 5-6 volts. This will ensure you plate a thick enough layer on the corners and edges. 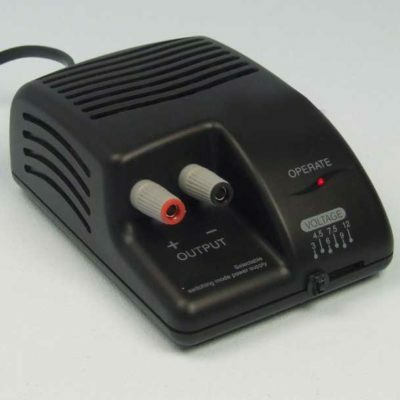 On the flatter areas you can increase the voltage to 7- 8 volts. 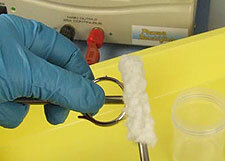 Dip the swab in the gold solution and begin plating, brushing the gold solution on with regular circular movements. Keep replenishing the gold by dipping the swab into the solution. You can use our online Plating Calculator which you’ll find on all our project pages to help you work our how long you’ll need to plate and how much gold solution you’ll need to build to a particular thickness. 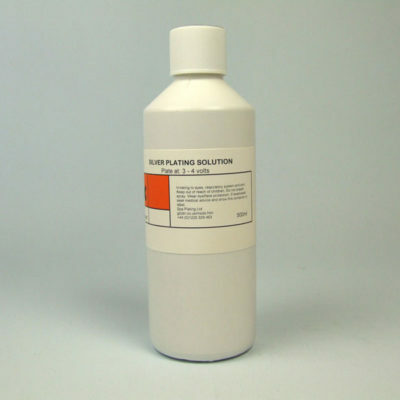 To work out how long you’ll have to plate and how much solution you’ll need to plate to a specific thickness (and therefore how much the job will cost), go to our online Plating Calculator which can be found on all of out product pages towards the bottom of the page. 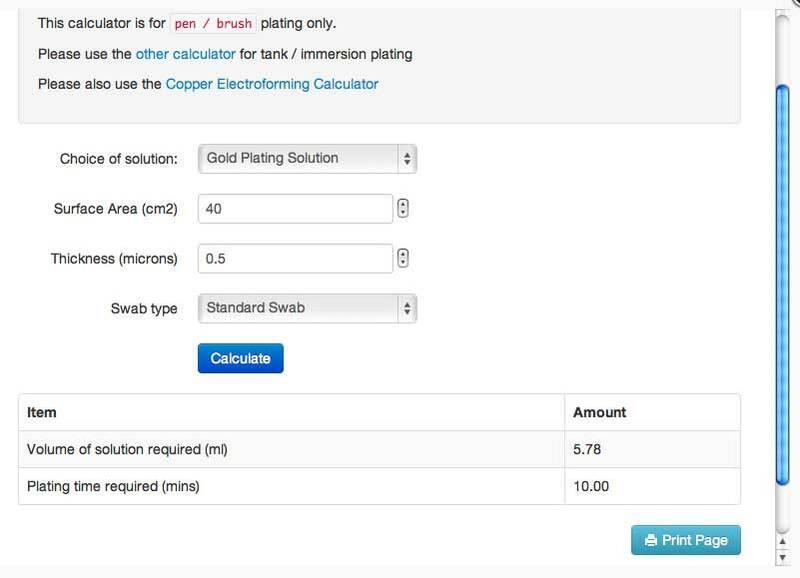 The Plating Calculator can be used to see how different options can change the costs and time taken; try entering in ‘large flat swab’ into the Swab type option and you’ll see how much quicker the job would take using one of our Large Flat Platinum Electrodes. This might be quite important if your plating job is big, for example plating sculpture or shop fittings. This is a screen shot of our online Plating Calculator showing how to find out how much plating solution you'll need to plate to a specific thickness and how long you'll need to plate to achieve this. 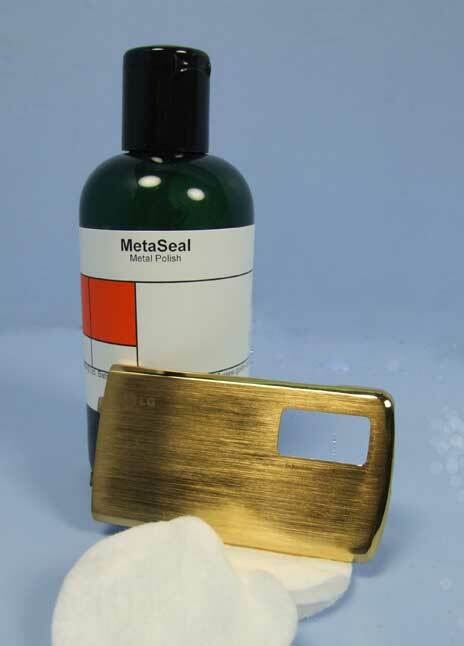 Finish off your work by polishing the cover with MetaSeal. This will bring out the final lustre and help to protect the plate from tarnishing.